Home News Culture WV, W.Va.: which abbreviation for West Virginia is correct? WV or W.Va. — which is the correct abbreviation for West Virginia? Throughout West Virginia Explorer you’ll find West Virginia abbreviated as both WV and W.Va. Which is the correct abbreviation for West Virginia? 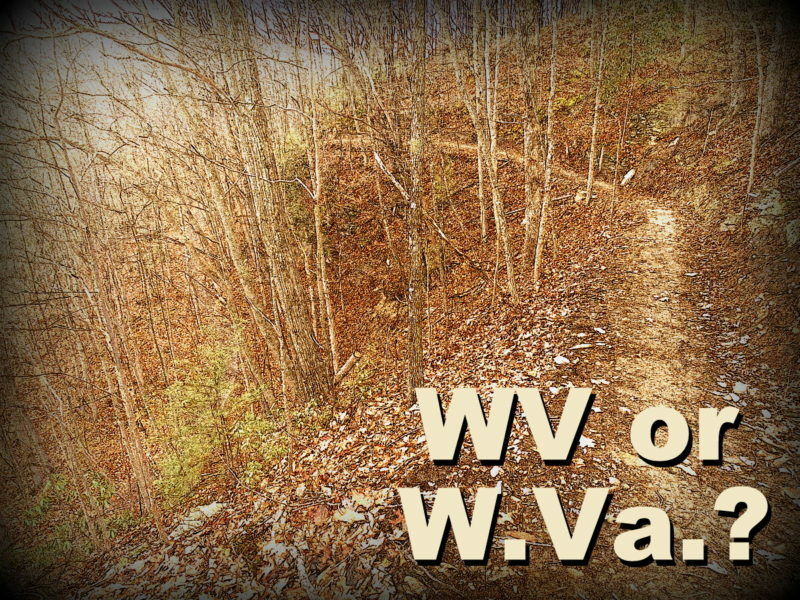 According to official guides to American English, “W.Va.” is still the preferred punctuation. This is because it leaves little room for misunderstanding. The abbreviation WV is also the accepted abbreviation for scores of other two-word combinations that being with the letters W and V, including weight variant, Wabash Valley, West Vancouver, and Whitewater Valley. Will the abbreviation WV gain acceptance formally? Will the abbreviation WV ever gain acceptance formally? Yes and no. Its correct use depends on circumstance. The two-letter abbreviation first arose widespread as part of the United States zip code system, in which the two characters appeared as part of a string of seven — as in the example “WV 25301” a mail code for part of Charleston, West Virginia. In this case, its use has dictates the form and, followed by the numbering system, there is less chance of misunderstanding. As part of a code, the use of WV has became widespread throughout electronic communication. Computer language and Internet searches depend far more on WV as a term. Whether or not a search will recognize W.Va. as a relevant term depends entirely on search-engine algorhythms, proprietary to the engines themselves.